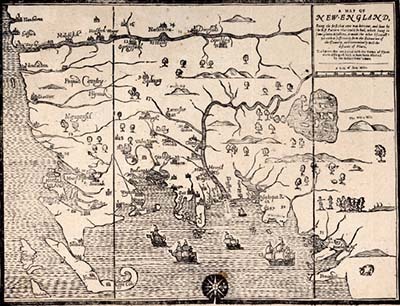 Essex County, Massachusetts was created on May 10, 1643 by the General Court of the Massachusetts Bay Colony, when it ordered "that the whole plantation within this jurisdiction be divided into four sheires." Lush forests in Colonial America allowed settlers to build wooden homes. Ensign Daniel Warner was born about 1640 in Ipswich, Essex County, Massachusetts. His parents were Daniel Warner and Elizabeth Dane. He married Sarah Dane on September 23, 1668. Sarah was the daughter of John Dane and Eleanor Clark. Her brother John Dane married Daniel's sister, Abigail Warner. On April 12, 1674, Daniel and Sarah took the covenant of the church. He died on November 24, 1696. Daniel was the administrator of his father's estate. Sarah received £44 in money. Philemon received, half the house lot in Ipswich, and the shop adjoining it which his father had built. John's guardian and uncle , John Dane, received the other half of the house and the lot adjoining his uncle Edmund Heard's lot, also marsh and woodland. Mercy's guardian, Philemon Dane, received money. Daniel agreed to support his mother, Sarah and probably the farm at Pine Swamp. Sarah died December 28, 1701. 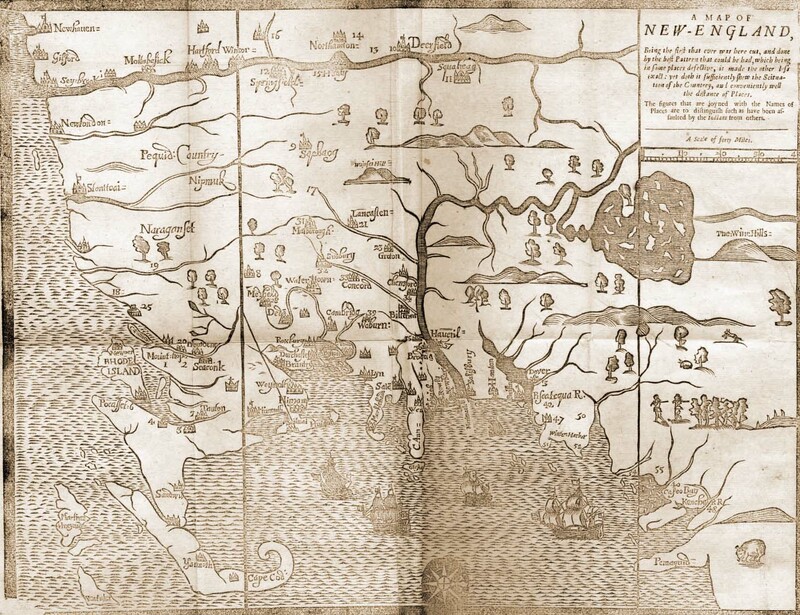 The town of Ipswich was established on August 5, 1634, from common land called Agawam. On October 18, 1648, that portion called the "Village" at the New Meadows was set off as Topsfield. The boundary line between Ipswich and Topsfield was established, February 28, 1694. Estate inventories give us a glance into the home life of Colonial Americans. The New England Meetinghouse was the only municipal building in a town. Both worship and civil meetings were held there. It was customary for men and women to sit separately and the town chose a committee once a year to assign seats according to what was paid, age, and dignity. Daniel [Warner], d. 24 Nov., 1696 ; m. Sarah Dane, 23 Sept., 1668. 5 of their children lived to marry. Daniel, b. 25 Aug., 1671, d. 20 Jan., 1754. Sarah, b. 22 Oct., 1673, m. ; children, Joseph, Eunice, Mercy, Stephen, Joshua, Daniel, Philemon, Dane. Philemon b. 2 Feb., 1675, d. 6 May, 1741; m. Abigail Tuttle, 27 April, 1696. She was b. 30 Sept., 1673, and d. 30 Sept., 1756. John b. 30 July, 1677, d. 1735. Mercy, b. 5 Nov., 1686 ; m. Israel How, pub. 4 Sept., 1714—children, Israel, Daniel, Koturah, Sarah, Hannah, and Priscilla. Rebecca b. 16 May, d. 10 June, 1679. Wm. d. 16 Aug. following. And William b. 24 March, and d. 21 June, 1682. Phil. Dane in Feb., 1698, of Mercy, 12 years of age. to guardian of Mercy, money, all in full satisfaction of their portion, and took their release; also agreed to support his mother Sarah. He probably took the farm at Pine Swamp, and as tradition says lived there. On 12 April, 1674, Daniel and his wife " took the covenant." American colonists continued to use British monetary units, namely the pound, shilling and pence for which £1 (or li) equalled 20s and 1s equalled 12d. In 1792 the dollar was established as the basic unit of currency. Cutter's Historic Homes is available on Kindle. 3. Philemon, born February 2, 1675, married Abigail Tuttle. DNA match with other descendant in this line.